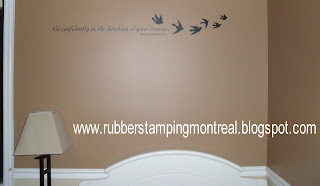 Here's a close up of the saying... Go confidently in the direction of your dreams. 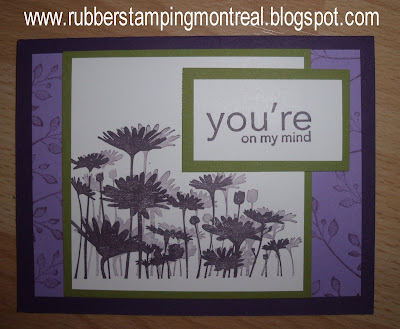 Have you taken a look at the latest Stampin' Up! Definitely Decorative Catalogue and the new 2010 Insert? There are chalkboard decor elements!!! 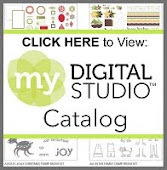 This weekend until March 1st, noon EST, 2010 receive FREE SHIPPING on your Decor Elements Order! (can ship to Canadian addresses only). 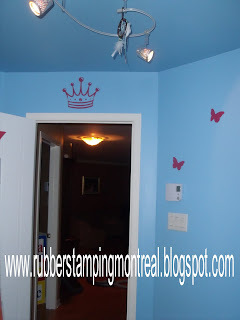 Just popping in to show you one of the projects I made this week! Sweet Treat Cups - Goldfish! 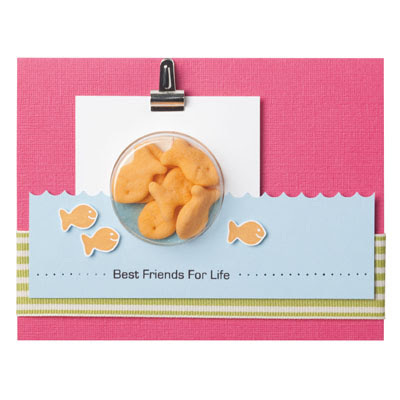 There's nothing fishy about this super-cute project. to give your best friend a little pick me up! 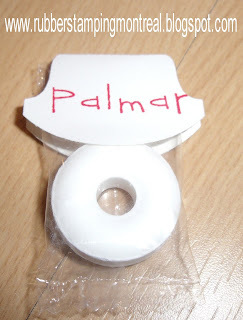 to create a super sweet project. 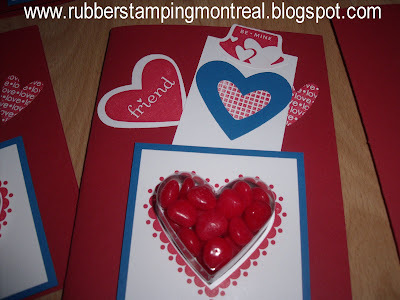 So..although not displayed perfectly...you'll get the idea of the variety of treats the kiddos put together - they wanted to give away cinnamon hearts, conversations candies, chocolates and more... - the chocolates are in the love bots boxes! I am so proud of them...they did them all themselves this year! 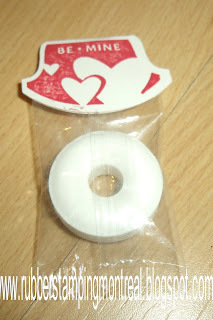 Here is a close up of the lifesavers treat my son was making ... yup - that's a stamp with his name on it! 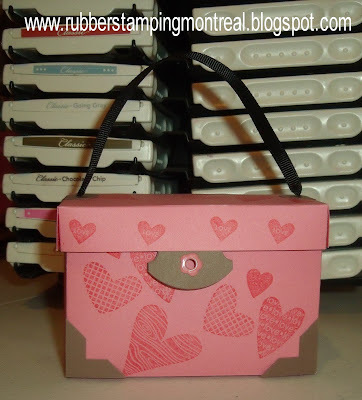 You can order from me a Love Bots Personalized Name Stamp for just $12.95 in the Occasions Mini (until April 30th, 2010). Okay, I sell all Stampin' Up! Products! 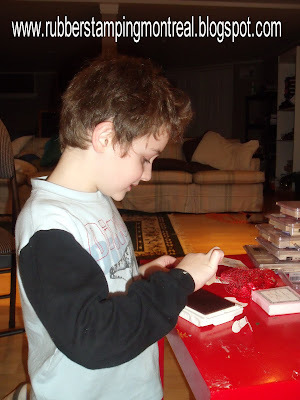 I bought one for each of my kids...and they love them!! Hope their classmates, teachers, aides and staff appreciated all their hard work this year! 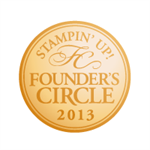 Contact me to attend one of my classes, book your Stampin' Up! Home Party or place your order today. Yes I do sell the cards I make...I also do custom cards ... just ask! Friday!! 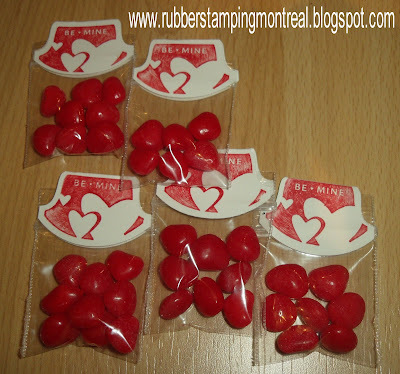 For adults and kids alike today is the day we exchange Valentine's and well wishes! Tonight is also the Opening Ceremonies of the 2010 Winter Olympics!! Vancouver 2010!!! My sister and niece are on their way to Vancouver right now to experience it first hand! *so jealous*. The card that keeps on giving. I sure hope they like them! 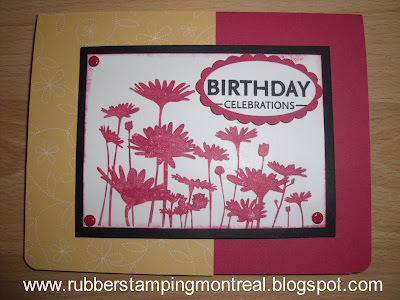 Contact me to attend one of my classes, book your Sale-a-bration Stampin' Up! Party or place your order today. Yes I do sell the cards I make...I also do custom cards ... just ask! RSVP is required, as seats are limited. I will email back your confirmation within 24 hours. Your 12x12 page will look similar to the one above! Have you seen the NEW Sending Love DSP? It is available in the Ocassions Mini only until March 31st, 2010. 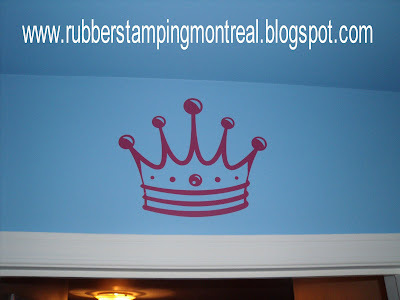 Like all Stampin' Up! 's Designer Series Paper, it is 2 sided to maximize your designs. One side has glitter IN the paper. 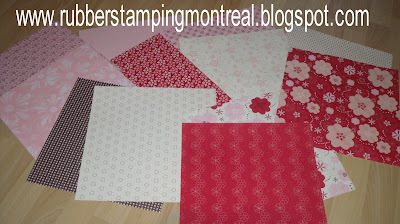 I hope these pics are demonstrating how stunning this paper is! Here is the official info: Item 117153 for $15.95 - I place orders several times a week! Give your projects a special shimmer with the designs in this speciality paper. 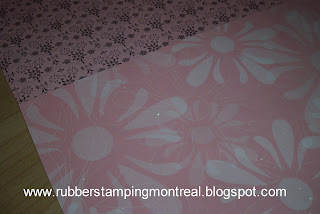 Each sheet shines with glittery designs on one side. 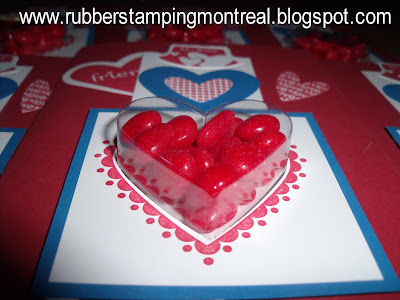 The exclusive designs and high-quality card stock will add a touch of elegance to your valentine projects, but it's also suited for year-round use. 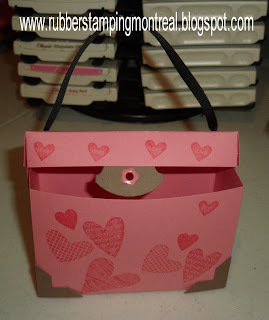 Contact me to attend one of my classes, book your Sale-a-bration Stampin' Up! Party or place your order today. 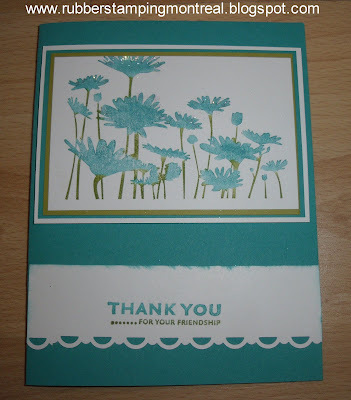 Here are some more cards that I have created using Stampin' Up! 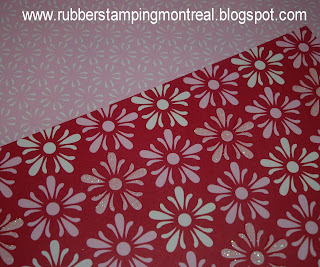 's Upsy Daisy stamp set. 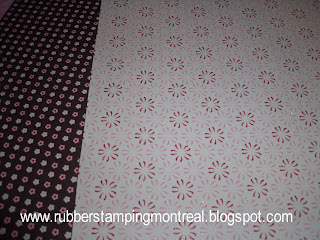 Details on the February 2010 Upsy Daisy Classes are HERE. Do you recognize the punch on the bottom? through Sale-a-bration by placing a $65 order! Click here to view all the other FREE items you can earn during SAB! 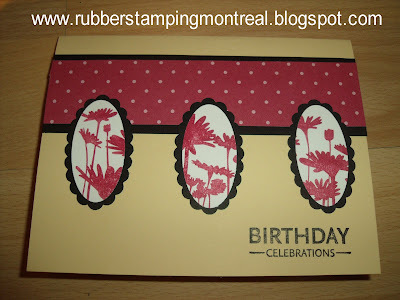 Both of these cards are made with Stampin' Up! 's Wandering Words stamp set. I changed the designer series paper at the bottom. Not sure which one I like better. The one below I made specifically for my Mom cause its her b'day on the weekend! Who says it has to be for Valentine's Day? Happy Birthday Mom!!! Notice I "de" inked Mom on the mailbox? 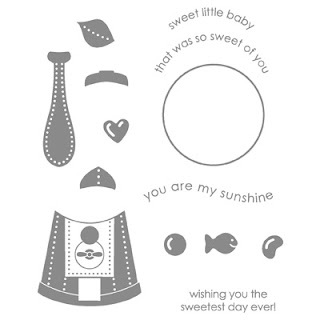 Below is the Upsy Daisy Stamp Set we will be using. Love it!! (111710 $24.95). 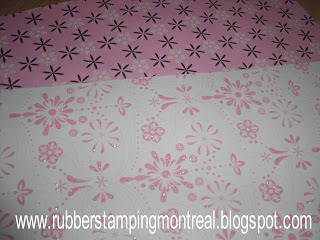 I will be offering FREE SHIPPING on the Upsy Daisy stamp set. Would you like this class by mail? Email me for more details. Local to Ottawa, Ontario? This class is being offered this Saturday, February 6th. One seat still available.